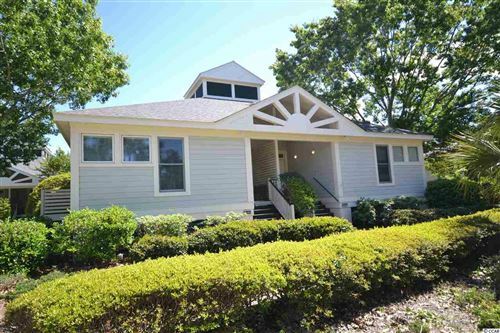 RE/MAX Southern Shores knows the Pawleys Island real estate market and Willowbrook Plantation. Willbrook Plantation is a golf community on the south end of the Grand Strand. Located in Pawleys Island, SC, this community winds its way through a centuries-old oak forest where nature has been left undisturbed by the hectic pace of 21st century living. There are about 500 single-family homes in this gated community that lies on the site of two former South Carolina rice plantations, Willbrook Plantation and Litchfield Plantation. Weeping willow trees, beautiful ponds, and wildlife have all been kept in their original state, representing the beauty of this past plantation site. Many roads in Willbrook Plantation appear as landscaped vistas of live oaks draped with Spanish moss. Close to everything in Pawleys Island, the community lies in the heart of the Litchfield Beach area, yet is secreted away from the crowd. Exclusive and private, the neighborhood is situated around the award winning Willbrook Plantation Golf Club designed by Dan Maples. As one of the first gated golf communities of Pawley's Island, Willbrook Plantation remains one of its best. Willbrook residents may access at Litchfield Country Club and all of its oceanfront amenities. An exclusive clubhouse and swimming pool with optional beach access through Litchfield by the Sea are just several of the benefits of living at Willbrook Plantation. Residents can choose from patio homes, single-family homes and lots. Home prices range from $375,000 to $700,000 and home sites range from $220,000 to $620,000. If you're looking for a true luxury golf course home away from the hustle and bustle of Myrtle Beach, you won't find anything better than the Willbrook Plantation community. Enjoy the good life with landscaped streets and full security as you enjoy the tranquility of one of the most beautiful golf courses along the Grand Strand. Call RE/MAX Southern Shores at 843-839-0200 today for a tour of Willbrook Plantation homes or any of the other Myrtle Beach real estate opportunities.